As the Easter getaways are looming, a fresh and herbaceous Oxford & Cambridge gift will make the perfect travel companion this Spring. Receive a complimentary 15ml Oxford & Cambridge Cologne Spray when spending £90 or more on our aromatic & grooming collections. Please enter the code OC15 at the cart or checkout stage to add the gift. A fresh, classic and invigorating scent evocative of the English countryside, varsity matches and the great British sporting tradition. It contains a blend of English and French lavender, topped with peppermint, rosemary and bergamot, balanced perfectly on a base note of warm oak moss. 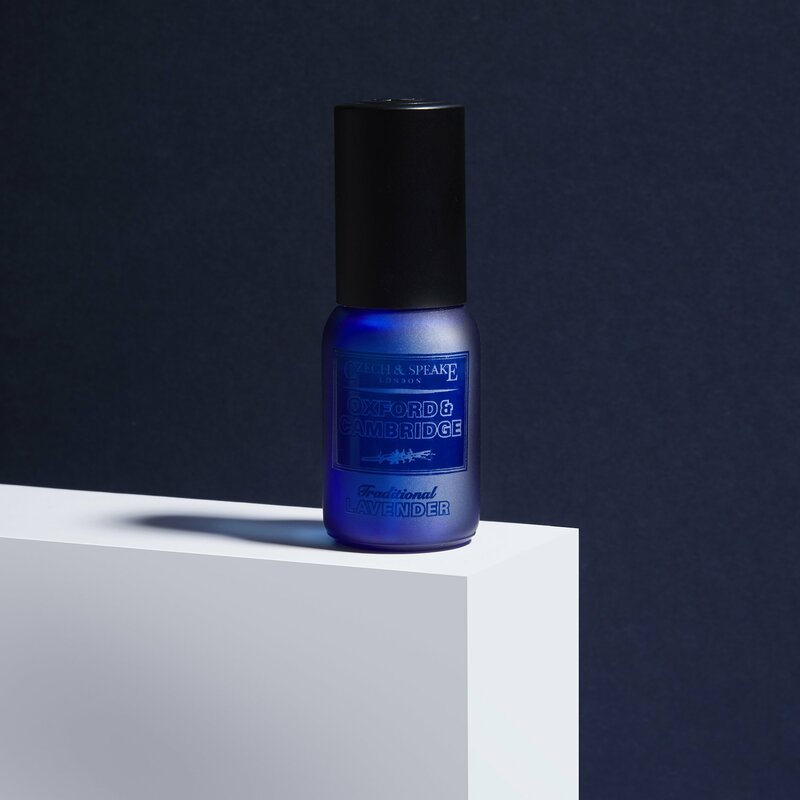 A light cologne with staying power for everyday use, presented in a satin finish blue glass bottle. Each fragrance is made by using the purest essential oils and finest ingredients, following traditional perfumery methods.